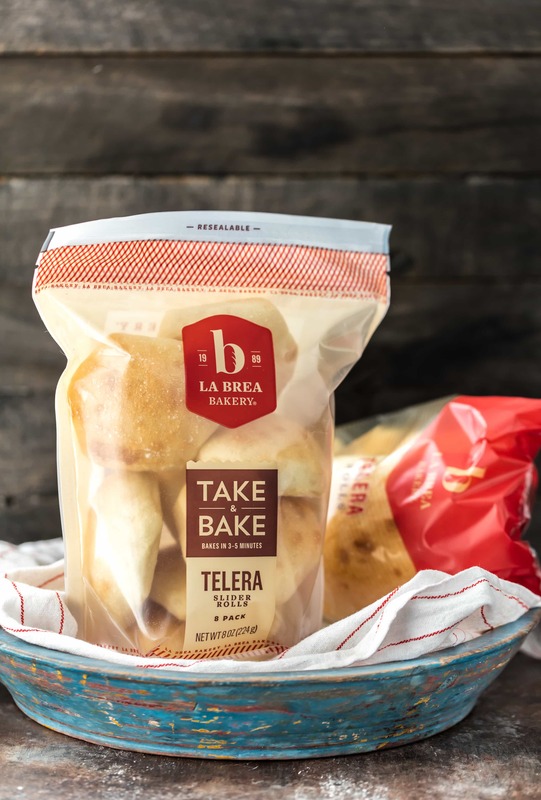 This post was written in partnership with La Brea Bakery. As always, all opinions are 100% my own. 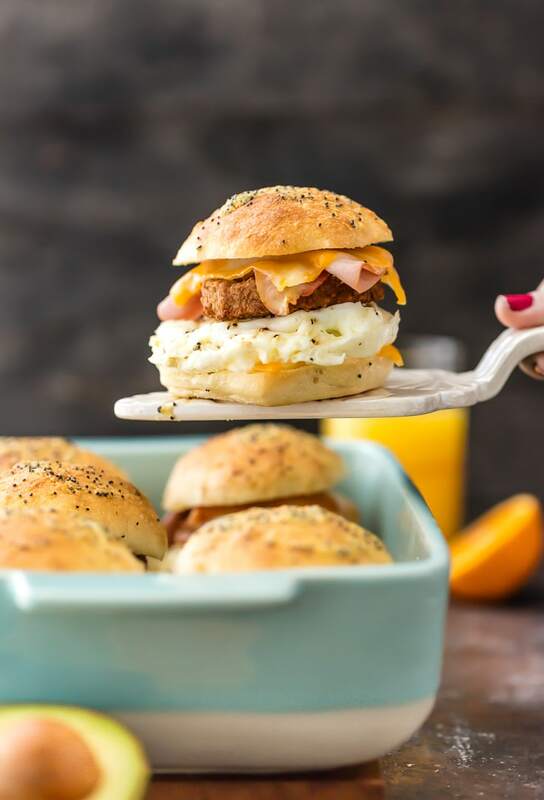 Baked Breakfast Sliders are the perfect breakfast or brunch recipe! 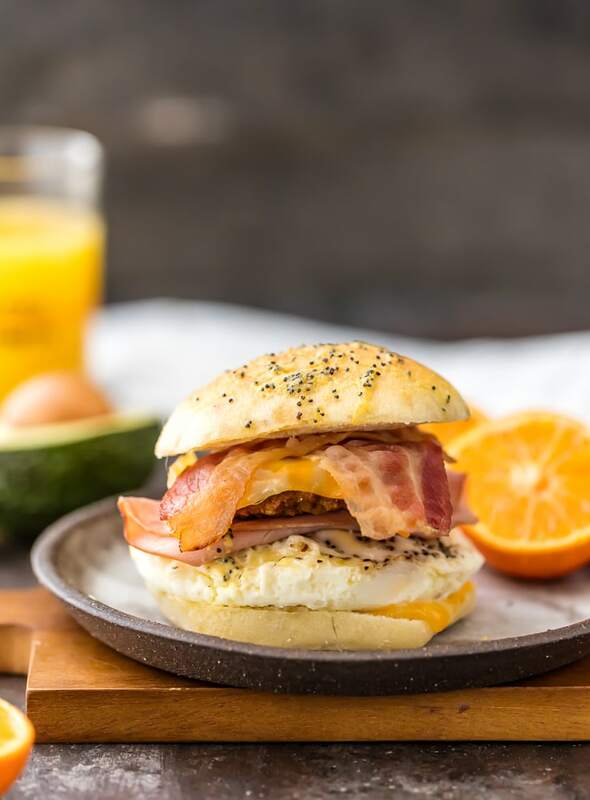 Fluffy eggs, crisp bacon in soft rolls are a delightfully satisfying way to start your day. 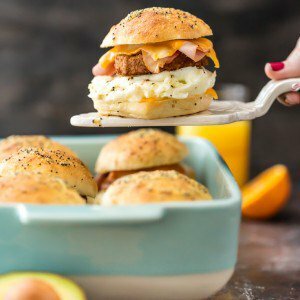 Baked Breakfast Sliders are easy to throw together for your next brunch buffet, tailgating party or even a busy weekday morning. 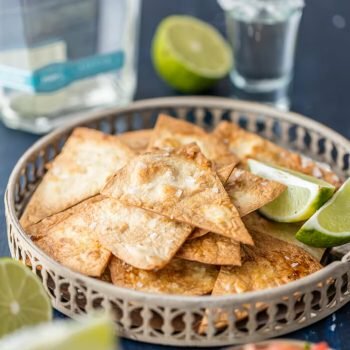 This is one of my favorite recipes to make when my family is cheering on our beloved Kansas City teams! I even like to serve them for dinner sometimes. 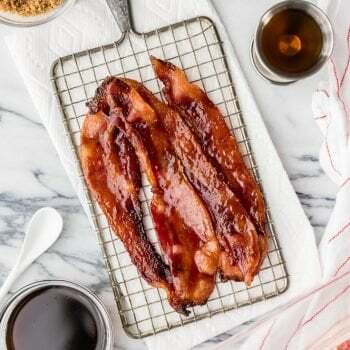 I adore breakfast for dinner, and these just check all the boxes of a scrumptious supper. Breakfast Sliders are easy, delicious, and filling enough for a day of fun. Make a double batch; they’ll disappear fast! 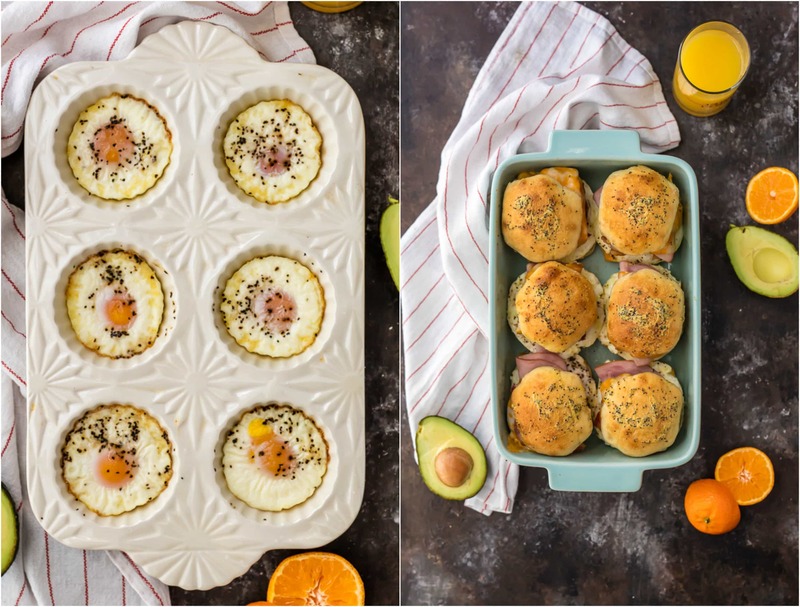 These Baked Breakfast Sliders wouldn’t be what they are without the PERFECT sandwich bread. When I was in California one time, I had the awesome opportunity to eat at La Brea Bakery in Downtown Disney. YOU GUYS. All the good things all in one place. When I discovered La Brea sells their bread nationwide, I was SO EXCITED. 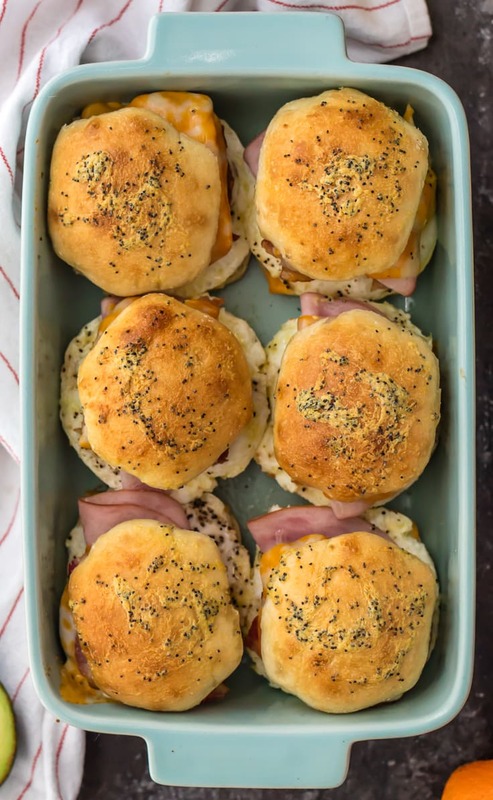 Their Take and Bake Telera Slider Rolls were the perfect bun for these Baked Breakfast Sandwiches. Toasty, flavorful, and taste just like homemade. I’m obsessed. Try them and see for yourself! 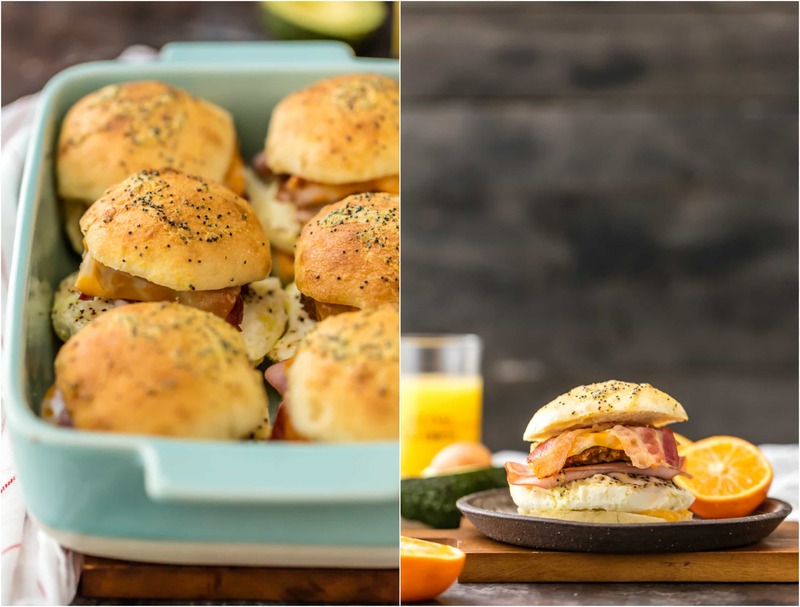 Check out the recipe card below for details on how to make Ultimate Baked Breakfast Sliders. Enjoy! Sliders are the perfect recipe for any occasion, any meal. Try a few of my favorite recipes for breakfast, lunch, dinner or even a snack! Why are these the “Ultimate” Breakfast Sliders? 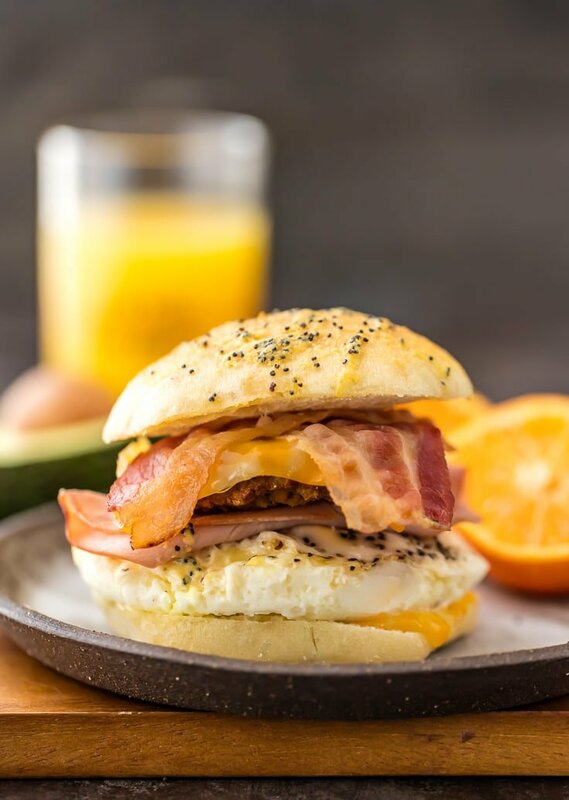 These breakfast sandwiches have it all: fluffy eggs, crispy bacon, savory sausage and ham, tangy cheese, soft rolls and topped with a gloriously buttery poppy seed sauce then baked to perfection. The flavors all marry together in perfect harmony. The textures complement each other in each and every bite. Trust me, these will be your ultimate go-to time and time again! How Should the Eggs be Cooked for Breakfast Sliders? The beauty of this recipe is its versatility; you can make your eggs any way you like! Bake whole eggs in muffin tins, fry them in a pan, or scramble your eggs and add a scoop when assembling. Anything goes! 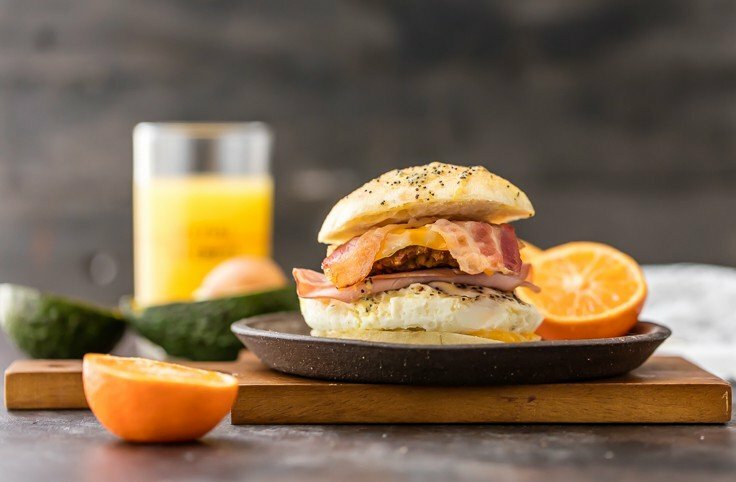 Can These Baked Breakfast Sliders Be Made Ahead? Absolutely! Just assemble a whole bunch of these delicious sandwiches the night before, then refrigerate until you’re ready to bake. Then serve them fresh. If you’re taking them on a picnic or tailgate, wrap them in tin foil to help keep them hot until serving time. They can also be frozen for up to three months, wrapped tightly in plastic wrap or a freezer safe container. Make up a big batch of these delicious sliders this weekend! Your family will thank you. Enjoy! Spray a 9x13 baking dish with nonstick spray. Place the bottom half of each slider roll in the bottom of the baking dish. To assemble the sandwiches, start with a slice of cheese, then eggs (if using baked eggs, use 1 per roll. If using scrambled, just scoop a large spoonful onto each bun), then ham, sausage, bacon, and more cheese. Replace the tops to each slider roll. Bake covered for 12 minutes and then remove cover. Continue cooking for another 4-6 minutes or until the bread is toasted and and the cheese fully melted. NOTE: You can make these ahead. Just refrigerate overnight and bake when ready. NOTE: I love the La Brea rolls for this because they're take and bake. This helps the rolls not to burn while in the oven. Perfection! NOTE: If you don't like any of the ingredients, leave them out! These are awesome even if they're just egg and cheese. You can customize for each person! GO! These sound wonderful! Thanks for sharing! Thank you so much Kristyn! Go Chiefs!! This is the year! I HOPE SO!!!!! Wouldn’t that be an amazing year for us all?? 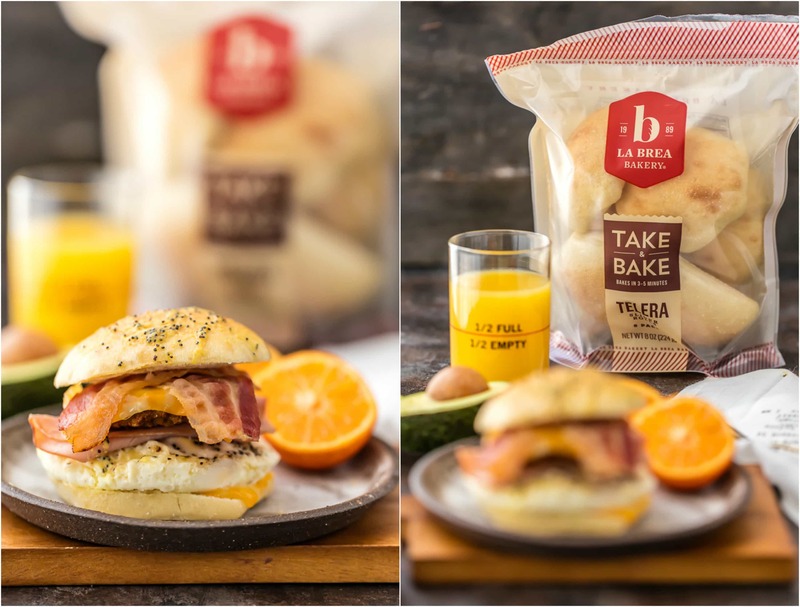 I love La Brea Bakery’s products and these sliders look perfect! These look wonderful, Thanks for sharing! These look amazing! All the meats for breakfast! I am in love with the gorgeous muffin type pan you cooked your eggs in. Could you tell us where to find that beauty? Thanks in advance! Thanks! I got it recently from Anthropologie! Can’t wait to try these– look wonderful. Thanks for sharing?. Love your website! How do u bake the eggs?